I performed with and wrote for the Cambridge Footlights during my time at the university. In addition to numerous Footlights Smokers (comedy sketch show evenings), I appeared with them as Watt the Devil in their pantomime version of Faust, as Babushka in Will Sharpe’s Hang on Mister Bugson, as Grandma in the Harry Porter prize-winning play, Dad, and as Judy in Punch and Judy. 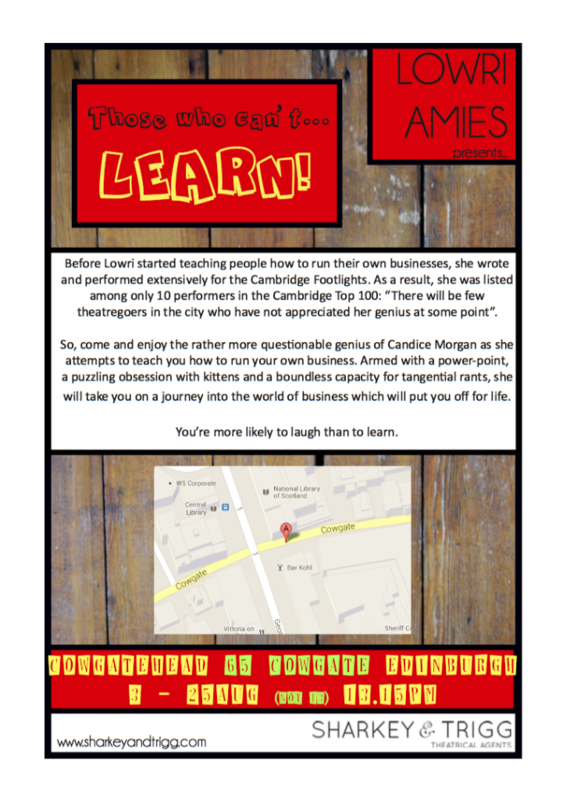 After training for three years at Central, I returned to pursuing my interest in comedy and wrote and performed my one woman stand-up show Those who can’t….LEARN! 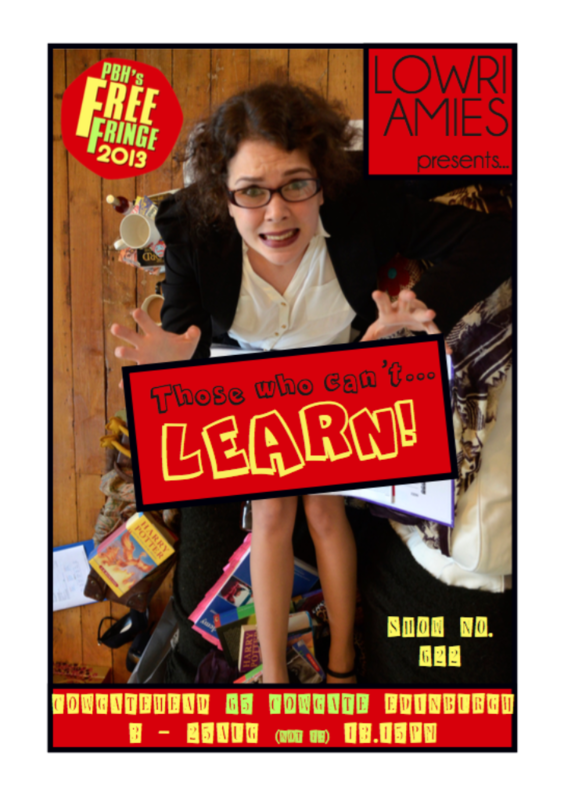 at various London Fringe venues. It transferred to the Canal Cafe, before enjoying a successful run at the Edinburgh Festival Fringe. Upon my return, I went straight into rehearsal for News Revue (the longest running comedy show on the planet! ), and the company continue to use my sketches. I now perform regularly with improv troupe Absolutely IMPROV-able. A group of former members of the Footlights, we improv all over the city. I am currently writing a web-series in which Candace Morgan, the protagonist of Those Who Can’t…LEARN turns detective! Watch this space…..